Of course, you love the tidy, clean look spring cleanup adds to your curb appeal. But spring cleanup tasks are done for the health of your landscaping, too. Perennials need trimming so they’ll rejuvenate for spring. Ignore red twig dogwood and it will get woody and lose its signature red color. 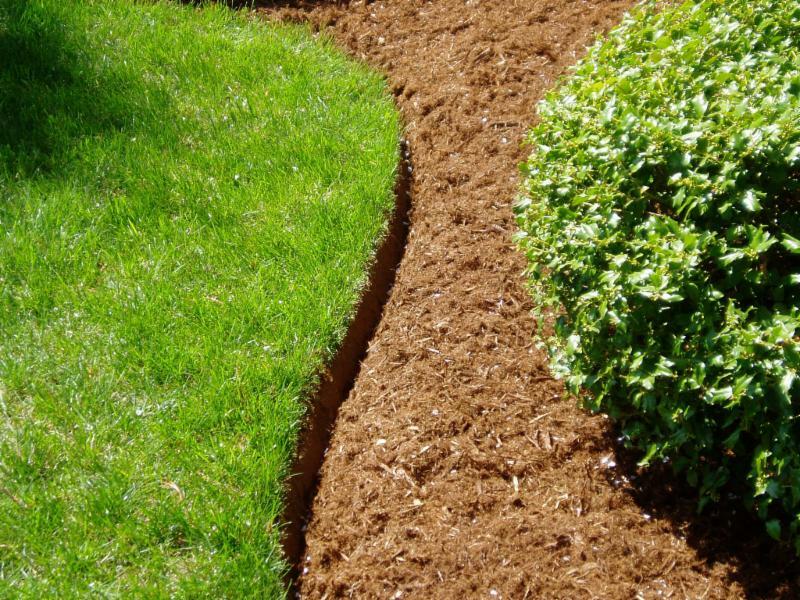 Mulch keeps weeds down and conserves moisture for the hot summer months ahead. Your turf can’t thrive if it’s clogged with soggy leaves and a blanket of fallen twigs. Replace any plants, shrubs or trees that have died. April and May are great for planting. Remove any aging plants that have grown out of control or that block windows or signage. This is a good time of year to replace them. Repair or replace any areas of turf damaged by plows or salt. Snow removal can take a toll on grass. Some customers use salt as opposed to landscape-friendly ice melt products. Patches of salt-damaged turf near sidewalks and driveways may need to be replaced. Those perky pansies and violas planted in the fall likely need some attention. Some deadheading and new mulch might do the trick. But after a rough winter like this one, they might need replacing, so your property has spots of cheerful color in April and May. It’s too soon to plant summer annuals, but these cold-hardy beauties will bridge the gap. This is the last chance for dormant pruning of trees before they spring to life and it’s too late. Late March early April is when New England allows lawn fertilizing to begin. Our crews can start applying fertilizer and pre-emergent weed killer, as well as post-emergent herbicide to attack any broadleaf weeds lurking in your lawn. This is the time for crabgrass prevention, too. These are just a few reasons why spring cleanup matters. If you’re not already a Ramos Landscaping client, we’d love to add you to our growing list of happy customers. Contact us at 508-808-5087. We’d love to hear from you.